Skip Boyle, known as Shuzo Hiragi or Syuzo Hiiragi (柊(ひいらぎ) 修(しゅう)造(ぞう) Hīragi Shūzō) in the Japanese version, is Zuzu Boyle’s father, and owns You Show Duel School, which his daughter attends. Skip Boyle has dark blue eyes and brown/orange hair. 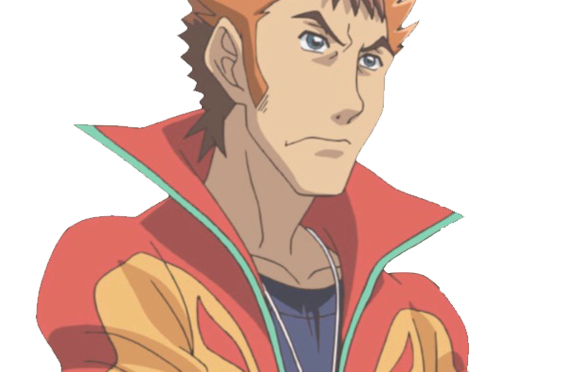 He often wears a red/orange jumpsuit with a green trim and red fire design. Underneath Skip wears a dark blue shirt with another fire design. He also wears a white whistle. 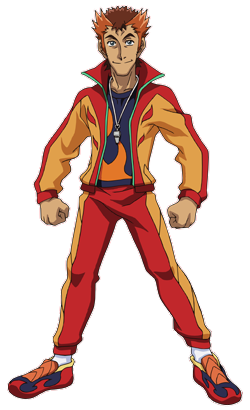 Skip is an enthusiastic and passionate person, often using the catchphrase “nekketsu”, meaning “fired up”, whenever he’s excited. He is quite goofy and dramatic at times, but he can be serious if the situation calls for it. He takes great pride in You Show Duel School and does everything he can make it prosper. 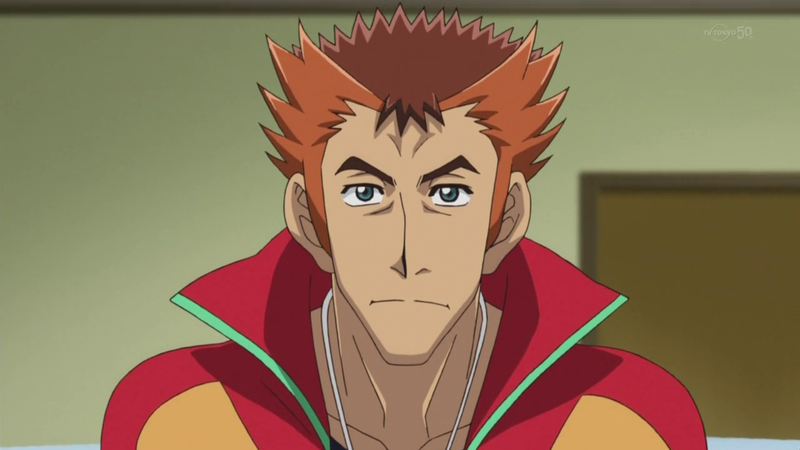 While it seems like he can be desperate to get more students, and receive their tuition to pay the bills, he is a very caring and responsible person, who cares about Yuya, his daughter and the students more than the money. Skip has the skills to become a Pro Duelist, but believes that winning isn’t everything in a Duel. 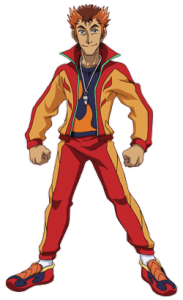 In addition, Skip acts as mentor and somewhat father-figure to Yuya Sakaki in the place of his good friend, Yusho Sakaki. 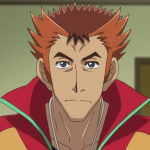 Skip was a professional Duelist, as well as a good friend of Yusho Sakaki and Yoko Sakaki. Despite his job, Skip managed to balance his time Dueling and raising his daughter, Zuzu. 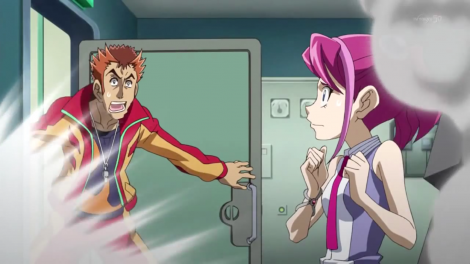 Later, Skip helped the Sakaki’s found the You Show Duel School. Since Yusho’s disappearance, Skip eventually took on the role of Yuya’s father figure. Skip uses a “Guts Master” Deck.